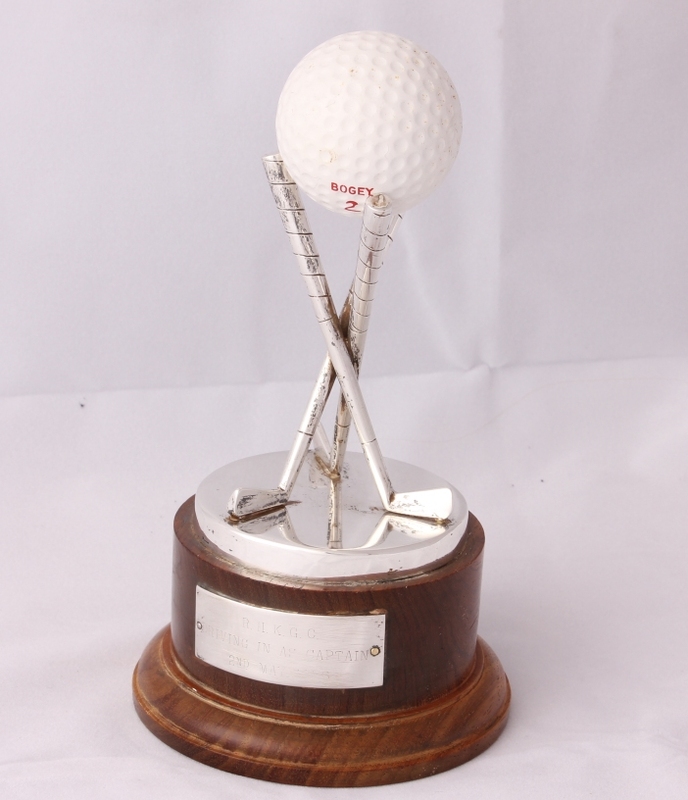 Royal Hong Kong Golf Club Sterling Silver Golfing Trophy. 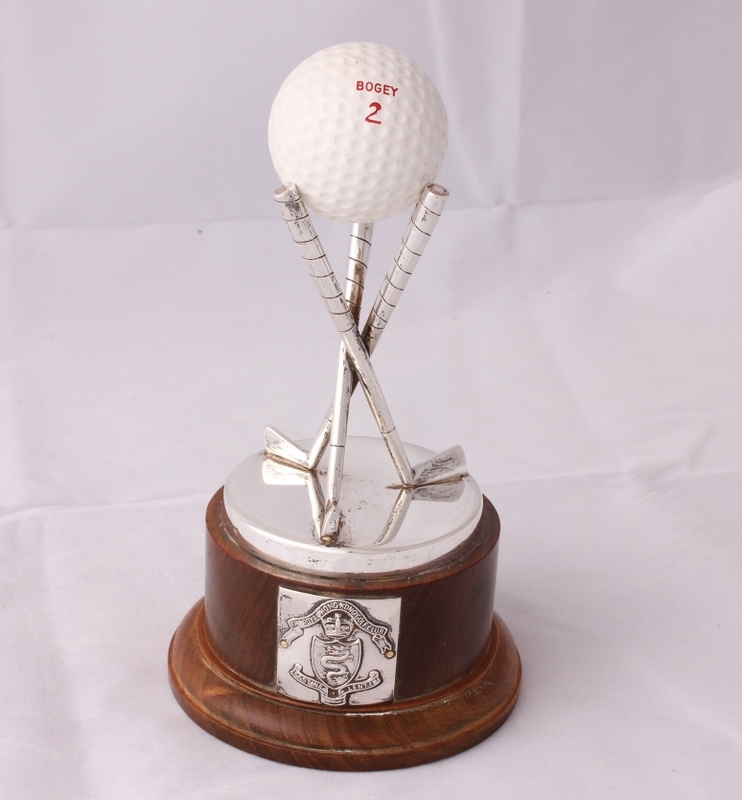 This lovely sterling silver golfing trophy is by Freedom Co and is marked for sterling silver. 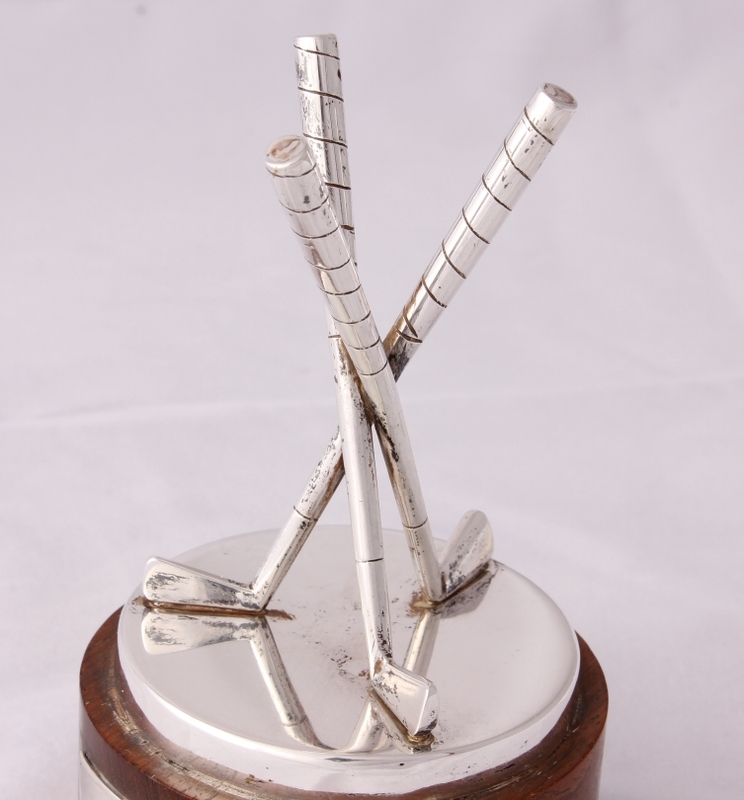 The silver trophy is designed as three cross over golf clubs which hold a golf ball. 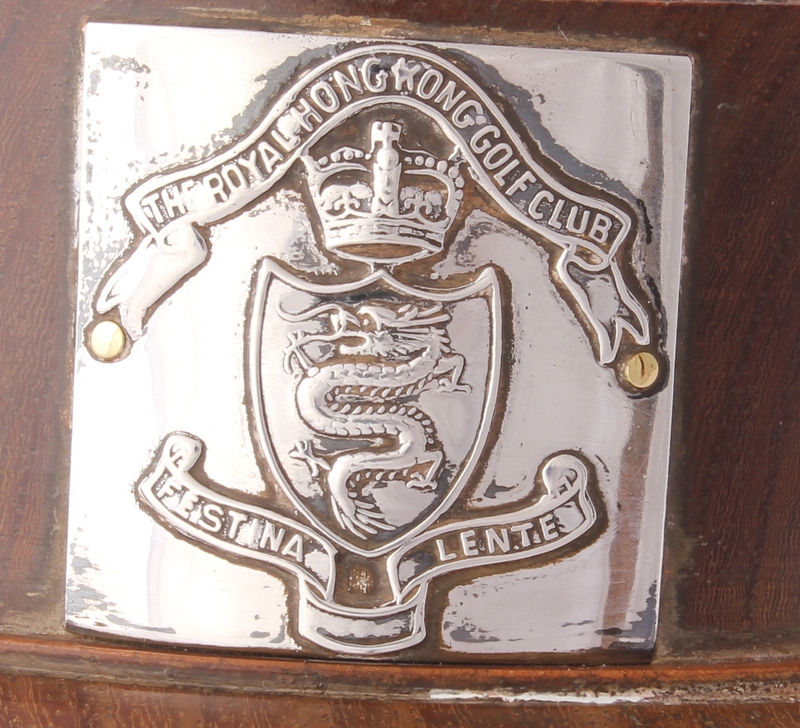 The wooden base bears a front plate with the chasing dragon and crown emblem for The Royal Hong Kong Golf Club and motto Festina Lente. 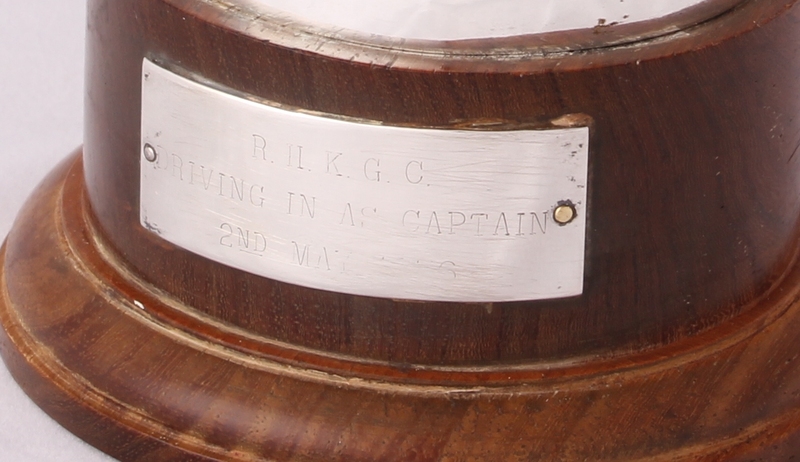 The base also bears a back plate inscribed "RHKGC - Driving In as Captain - 2 May 1956.". This interesting cup would make a unique collectors piece for a golf fan. Marked Sterling for sterling silver and maker Freedom Co. 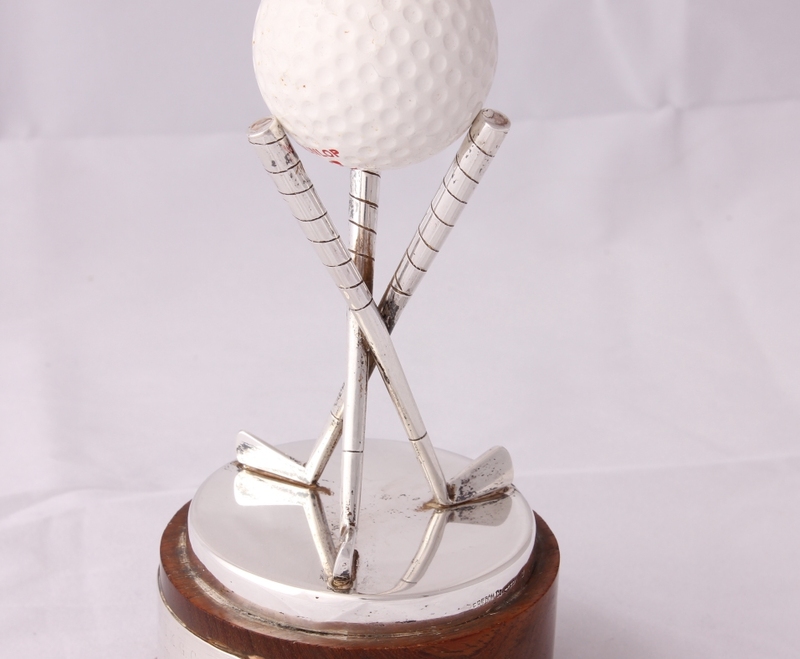 Size: Height (to include the base and golf ball as shown in picture) - 16 cm (6") approx. Weight of the silver trophy (not including base and ball): 54 grams approx. Condition: Excellent vintage condition with light signs of use in keeping with age. Some tarnishing and light wear. The plaque on the the base has scratches and so the inscription is not clear.